Our warm summer climate yet still chilly winter season demands a home comfort system that is reliable and efficient. 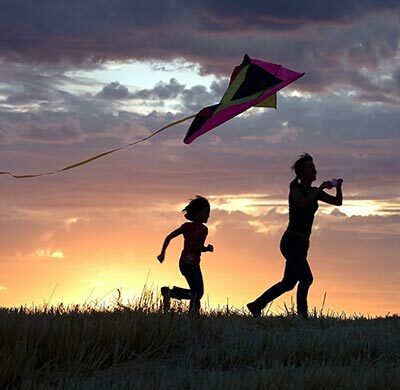 What fun is the summer if you're heating and air bill sky rockets? That just absorbs money from things like the vacation fund! Giddens is a Tallahassee heating and air conditioning contractor with extensive experience in the indoor comfort industry. We offer maintenance and repair on any make and model of equipment, and we also provide replacement systems and new installations! The Tallahassee heating and air conditioning contractor that you select to handle your indoor comfort system will affect your finances and comfort for many years to come. Too many homeowners trust companies new in the industry, and end up paying thousands of dollars in extra money due to lost efficiency, performance problems and equipment failure. We beg you to not become a statistic! 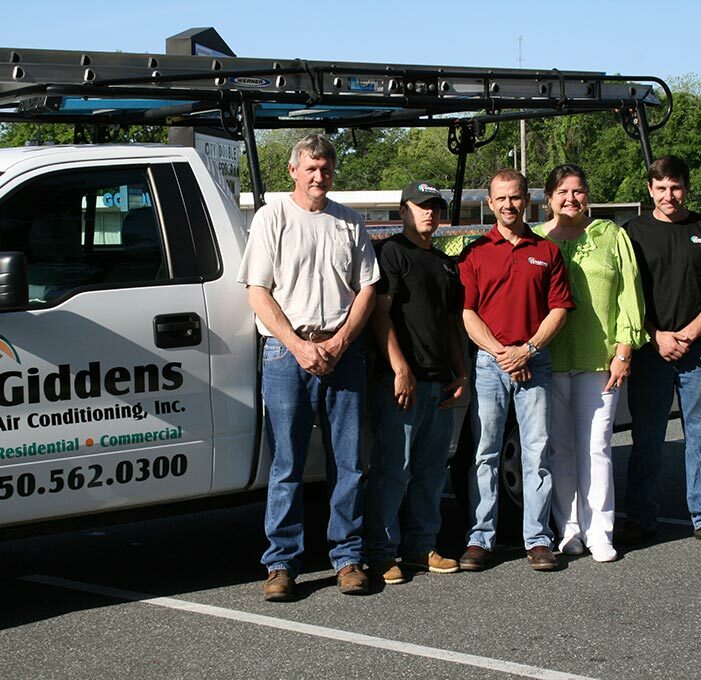 Giddens Air Conditioning Inc. does work according to industry best standards. 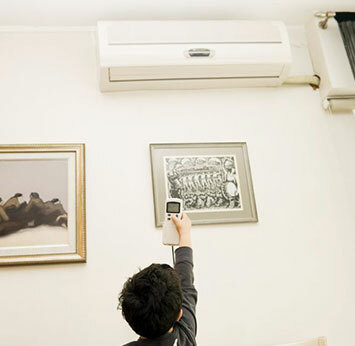 We know what it takes to design and install an excellent heating and air system. 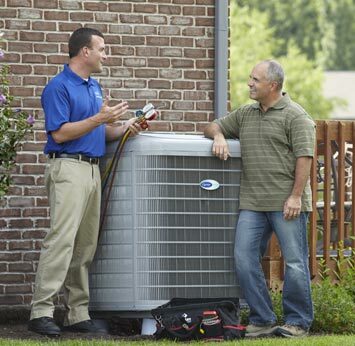 Trusting us with your home comfort is one of the best investments you can make for your home. Our commitment to top-quality solutions includes building on the foundation of equipment from manufacturers who have stood the test of time. It's why we're a certified Trane® Comfort Specialist. Trane packs a lot of innovation and quality into their equipment, and they are an industry leader in HVAC systems. We also offer air quality products from companies like Guardian and REME, and ductless systems from the king of ductless, Mitsubishi! Repair is one of those nasty words that no one really likes. Think about it...whether it has to do with a car, boat or computer, it normally means unexpected time and expense right down the drain! Don't worry though...Giddens has the experience required to accurately diagnose and perform any required AC repair. This includes all makes and models of air handlers, air conditioners, furnaces...and more! 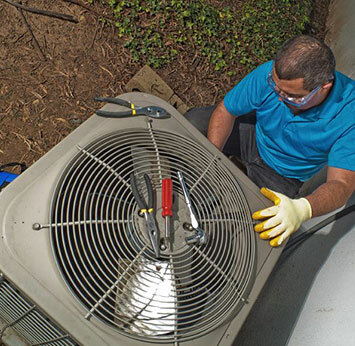 As mentioned above, the quality of installation you receive for your Tallahassee heating and air conditioning installation will make a massive difference in the ongoing comfort, efficient and reliability of your investment. We're experts at all things relating to heating and air conditioning, and quite simply, we do the job the right way -- the best way. When you trust Giddens, you've invested wisely. Have you been cooling a living space with a noisy window or floor unit? If so, we have some great news for you! A ductless system (also called mini-splits) brings the same, quiet comfort of a normal forced air system, without the need for ductwork! That's right -- you can even heat and cool multiple rooms with individual control from a single outdoor unit. Finally, efficient comfort for any living space. Did you know that your home could be trapping a lot of airborne pollutants inside? Many household items such as carpet, paint, finishing products and even your bed can release harmful VOCs that affect the health of your body. We offer indoor air quality products that put an end to polluted indoor air, and help move your home and family to a healthier living experience! Finding a Tallahassee heating and air conditioning company you can depend on for quality, honest work isn't an easy task. The good news? Your search can now be over. Call (850) 562-0300 and experience the Giddens difference today.